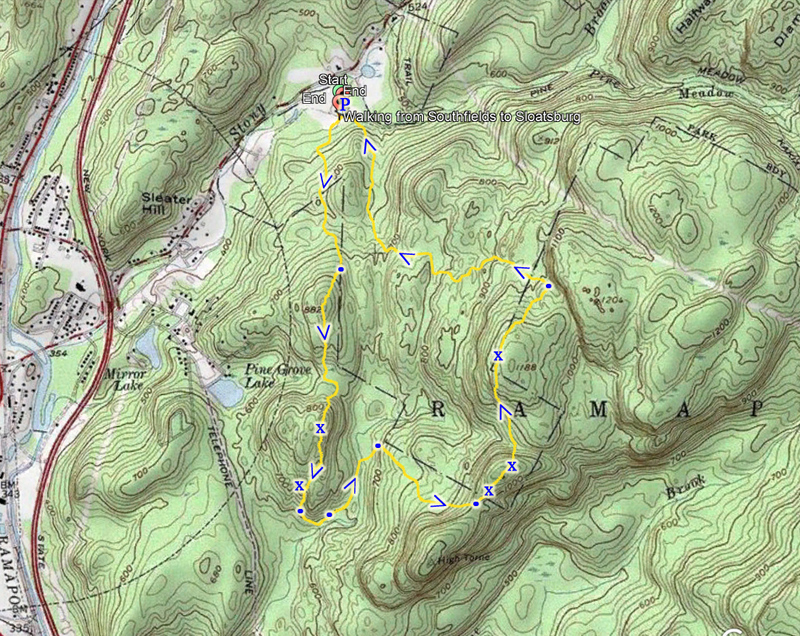 I had hiked the new Vista Loop Trail about two years ago, and wanted to make another trip to do the loop in the opposite direction. 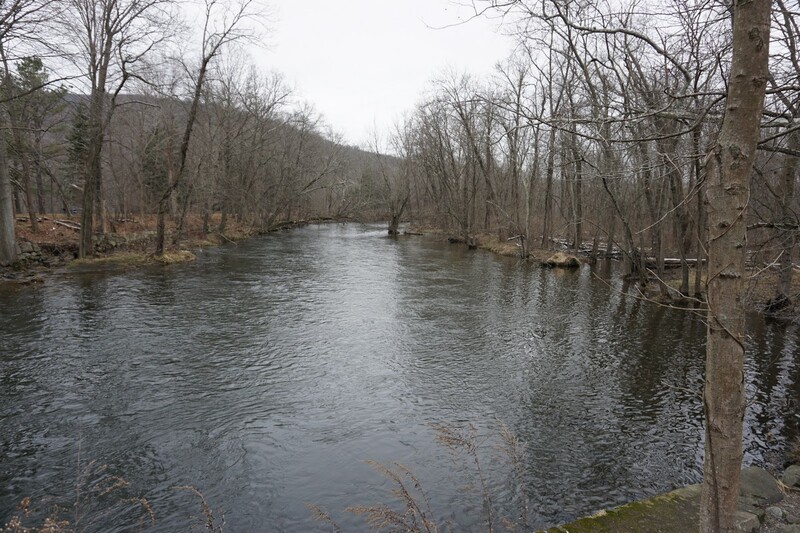 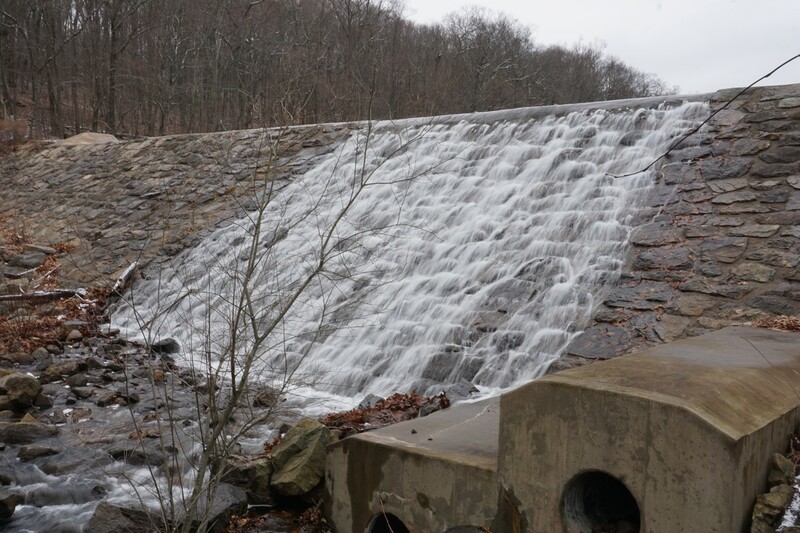 We parked at the main parking area, and crossed the Ramapo River, which was flowing very strongly due to all the recent rain. We took the southern part of the Vista Loop first, and went past the waterfall on the new trail made closer to the waterfall view. 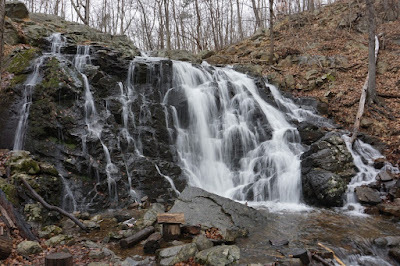 The waterfall was impressive as well due to the rainfall, and it looks like the rangers removed the large fallen tree in the middle of the falls. 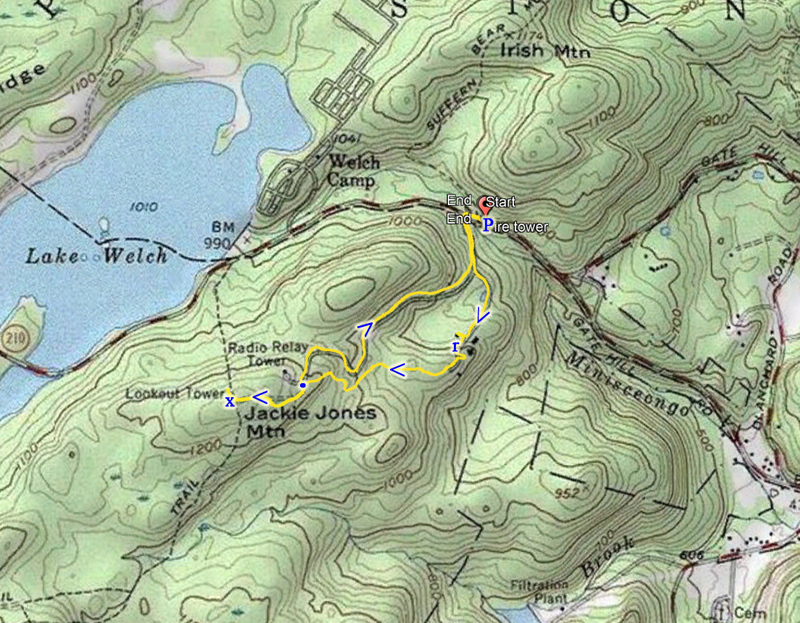 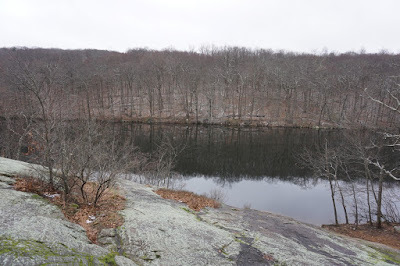 we continued to the MacMillan Reservoir, then climbed up to the Rocky View through a short spur. 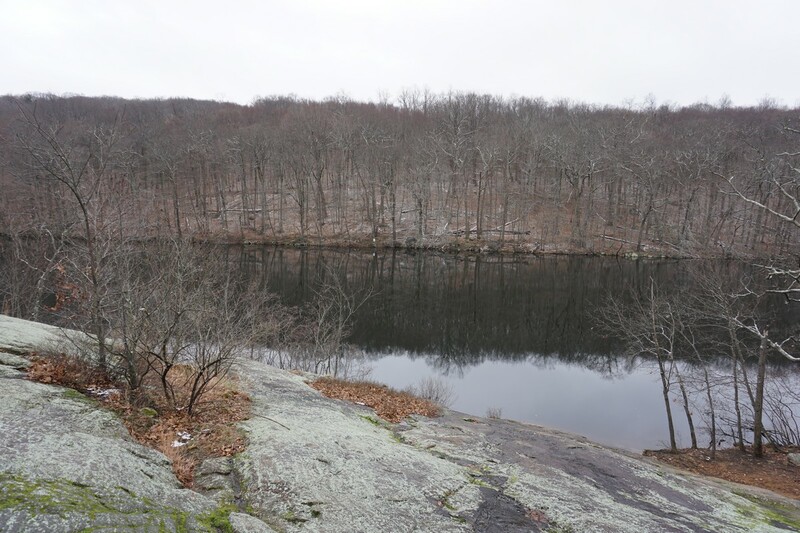 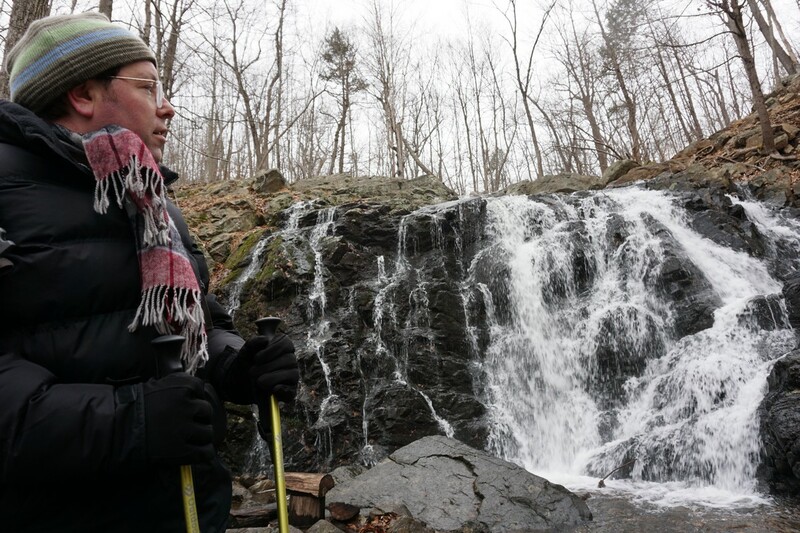 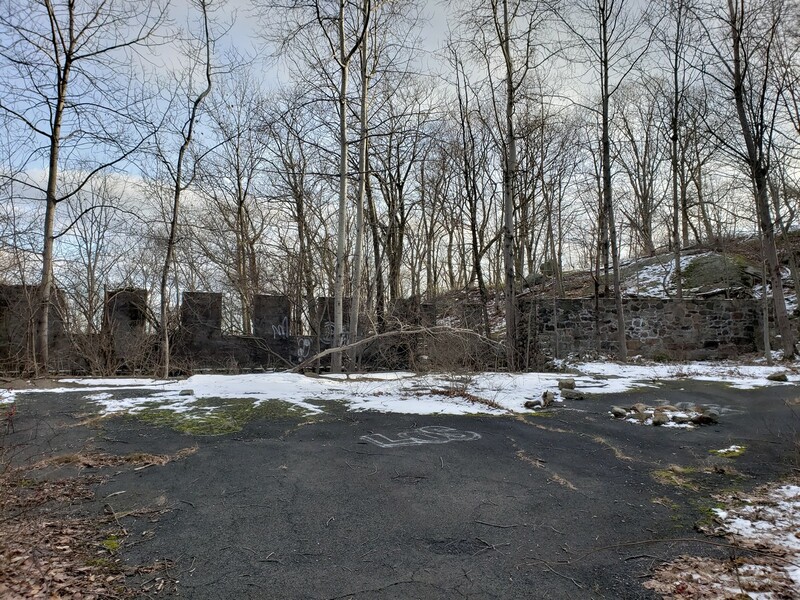 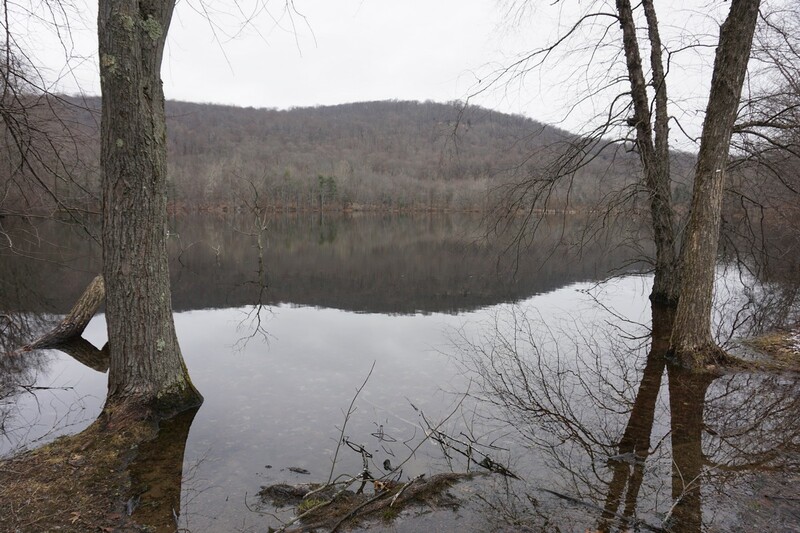 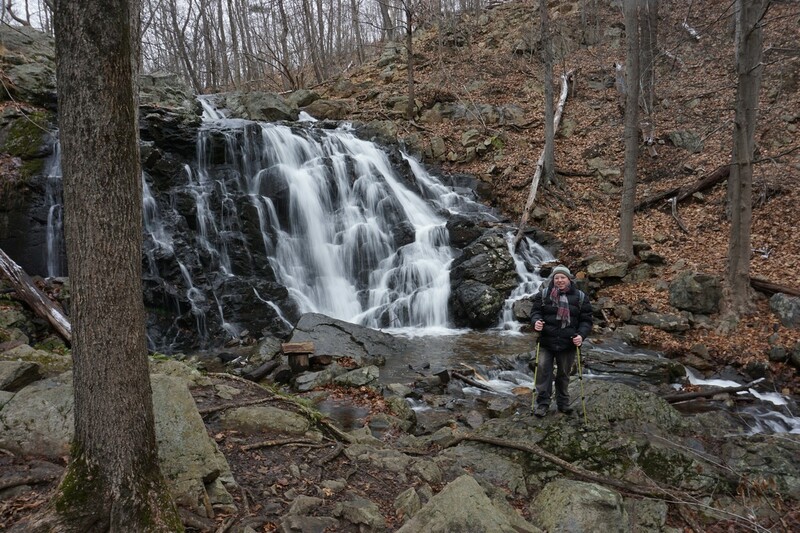 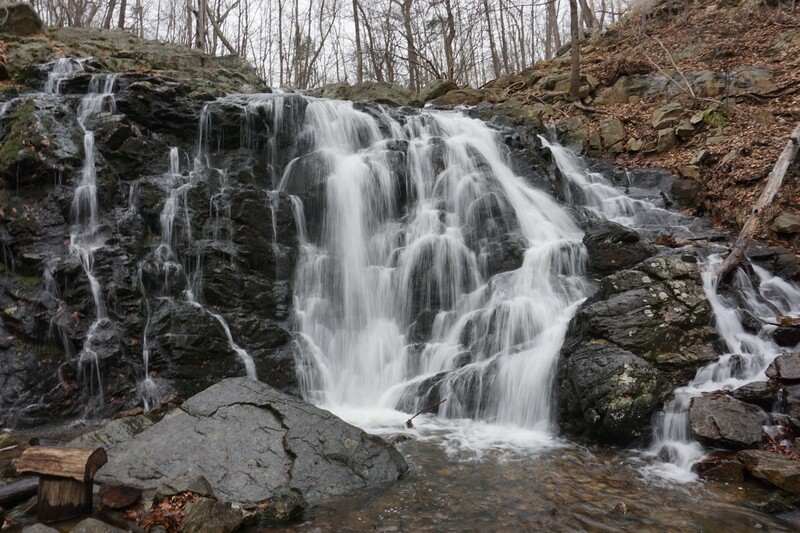 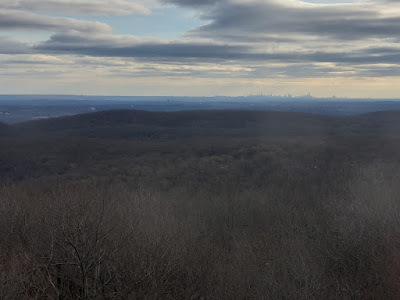 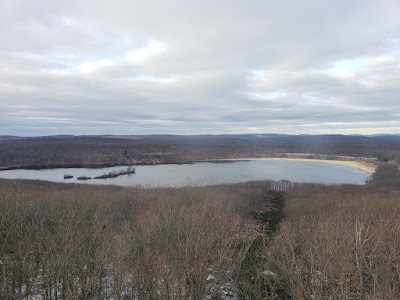 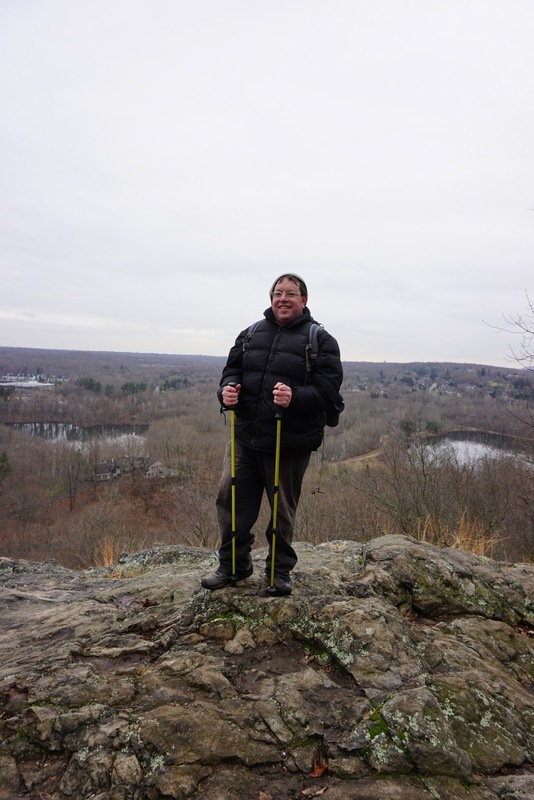 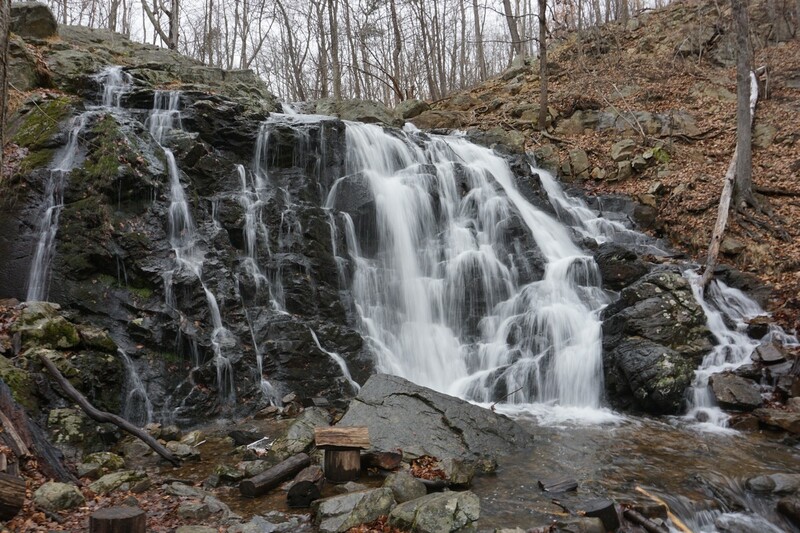 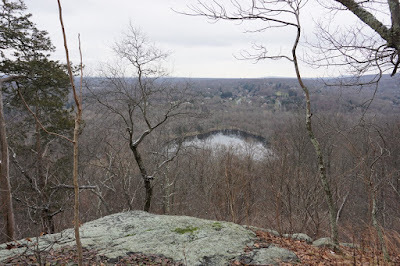 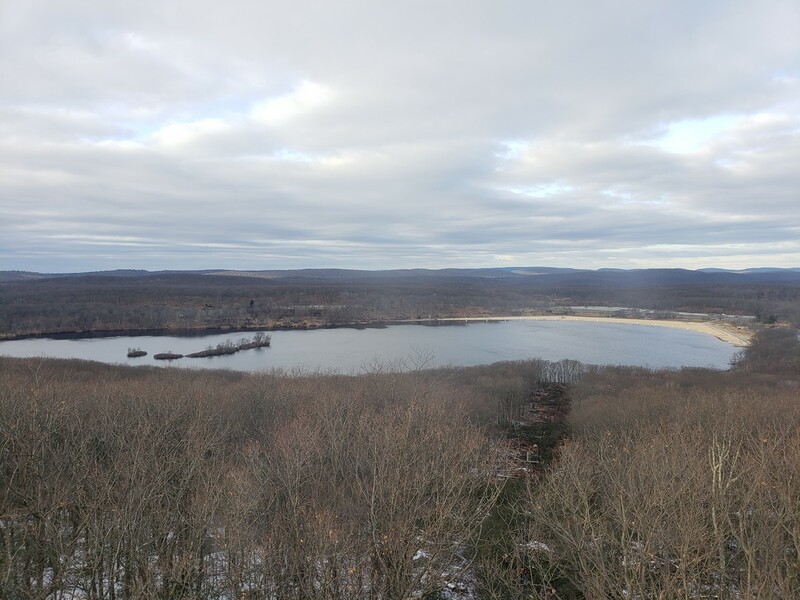 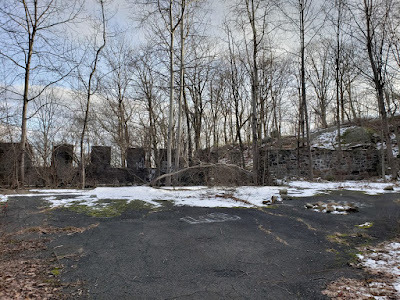 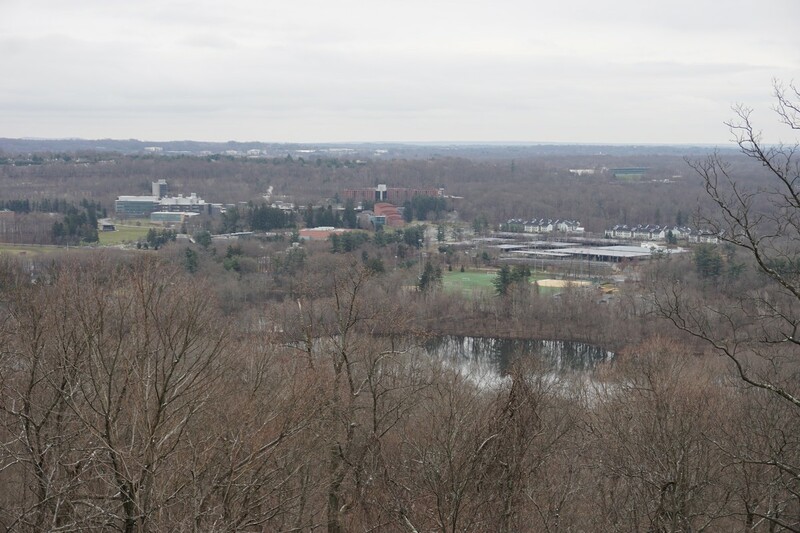 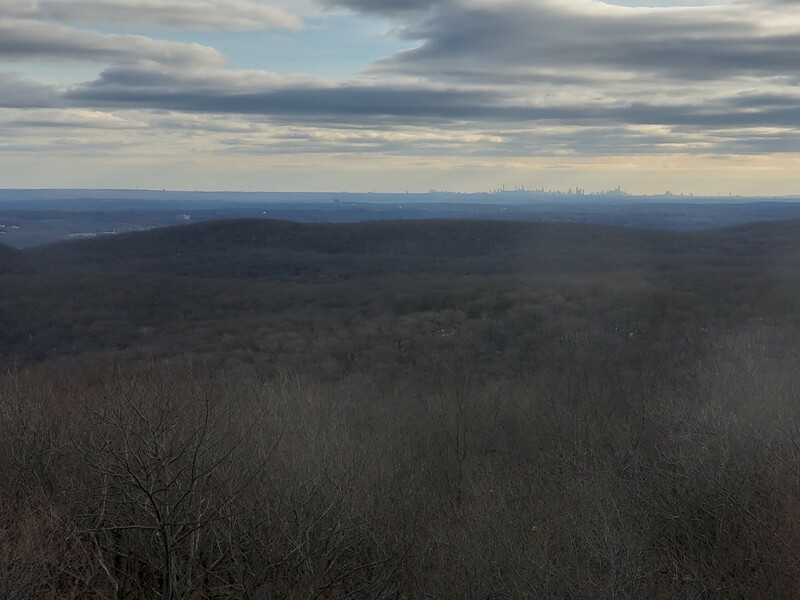 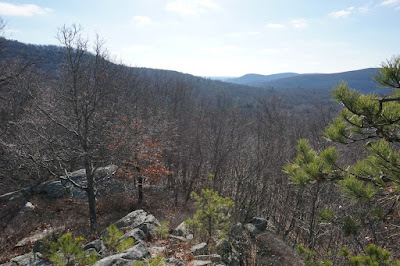 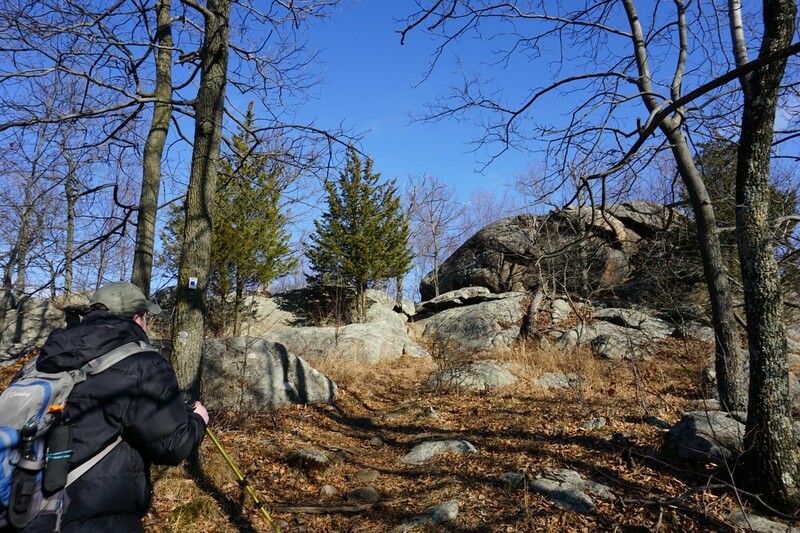 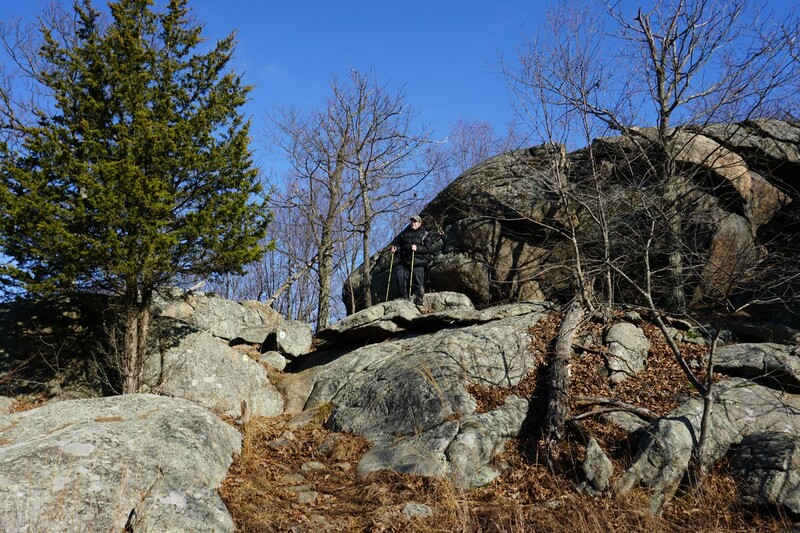 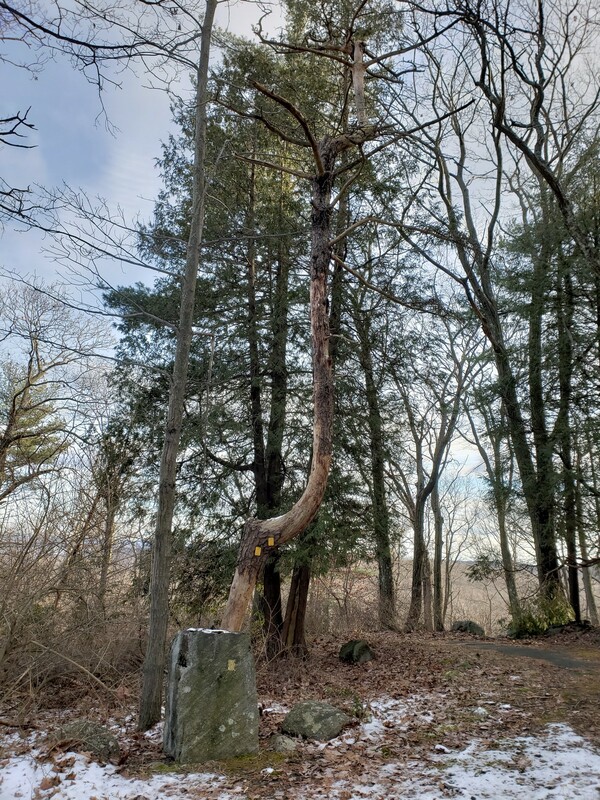 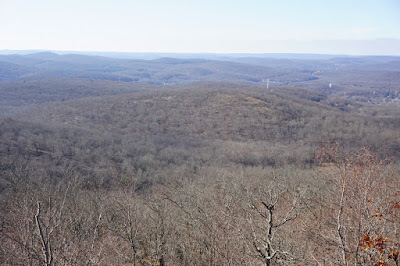 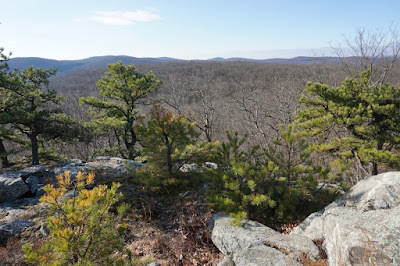 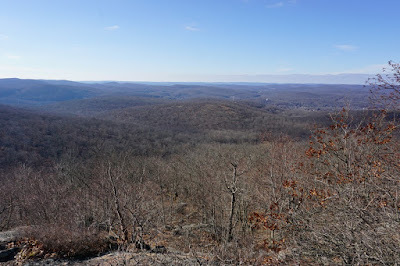 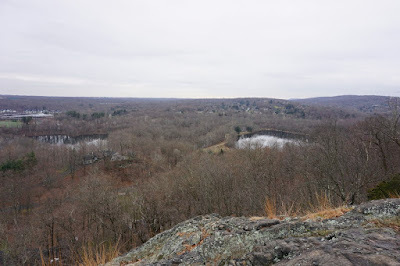 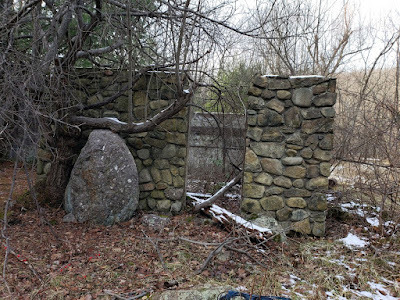 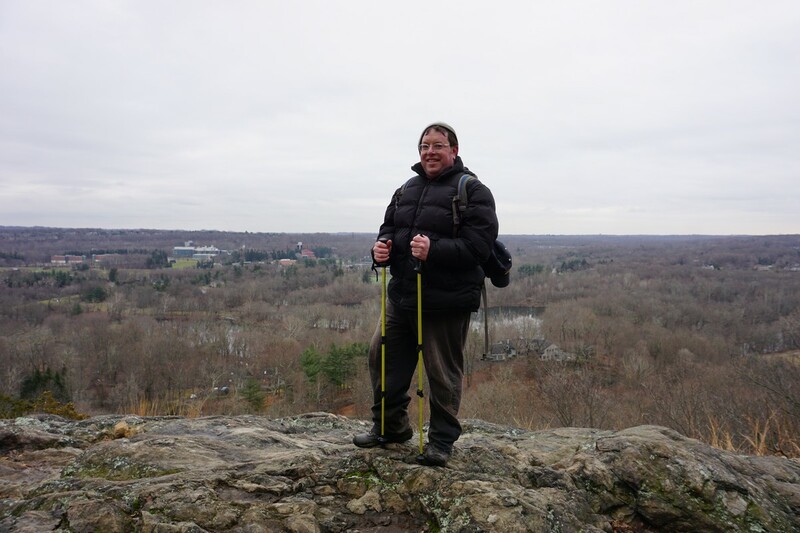 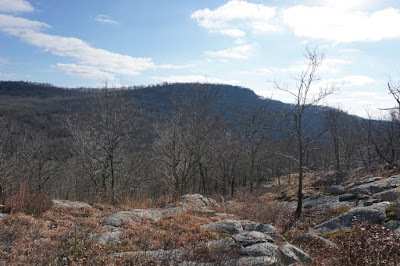 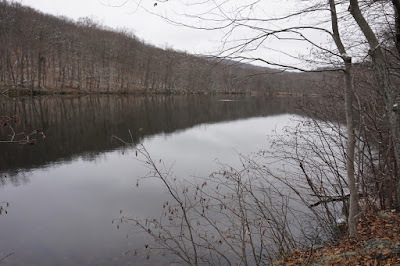 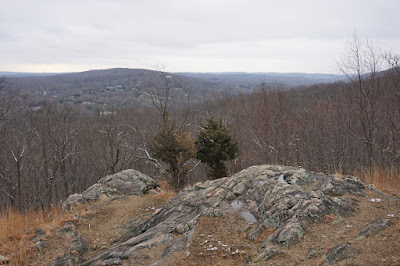 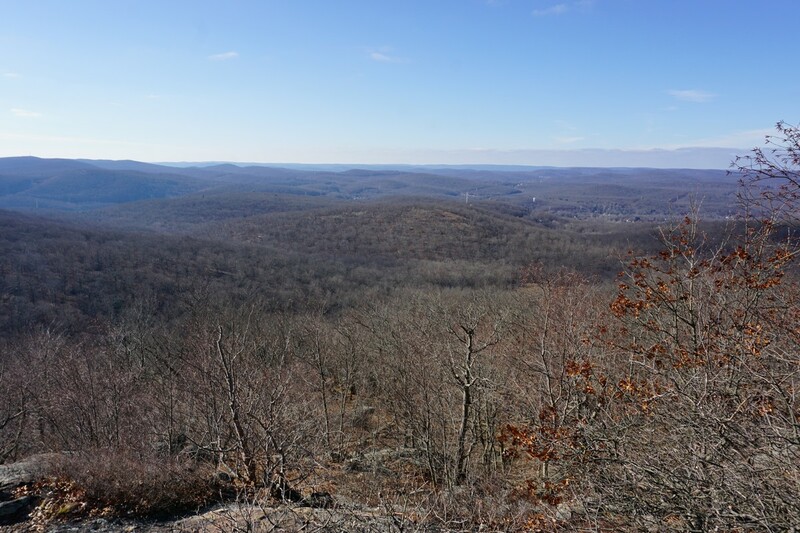 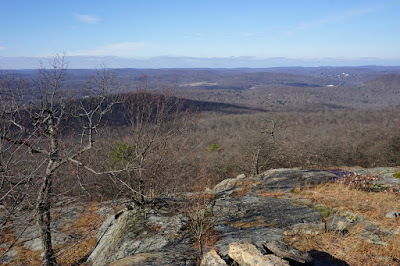 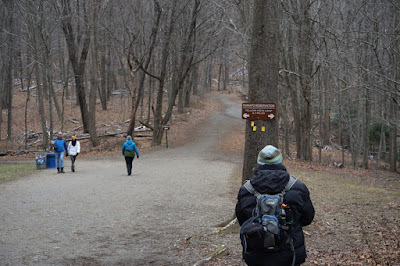 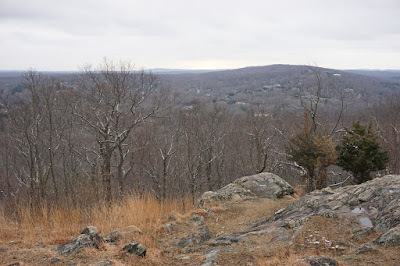 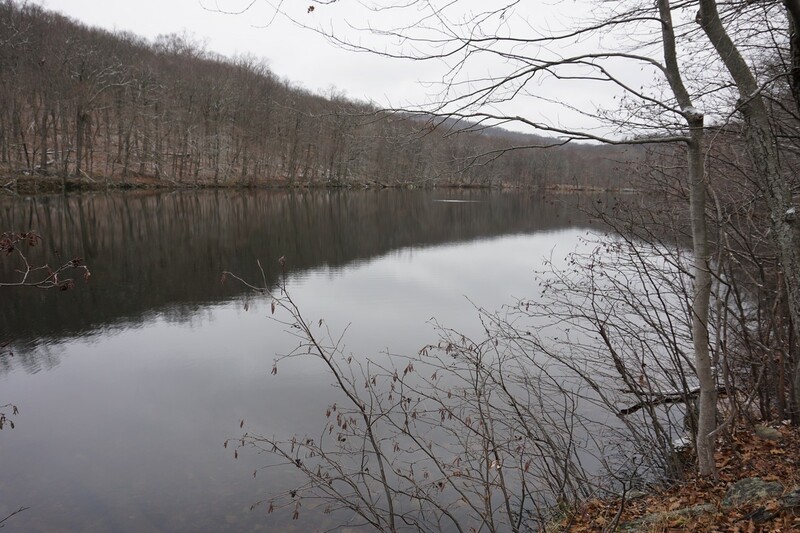 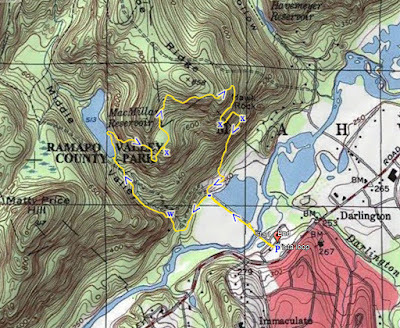 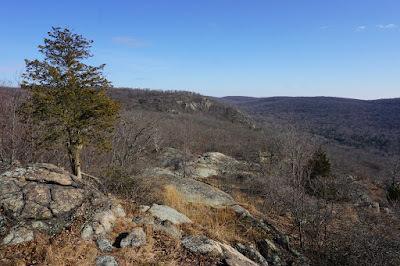 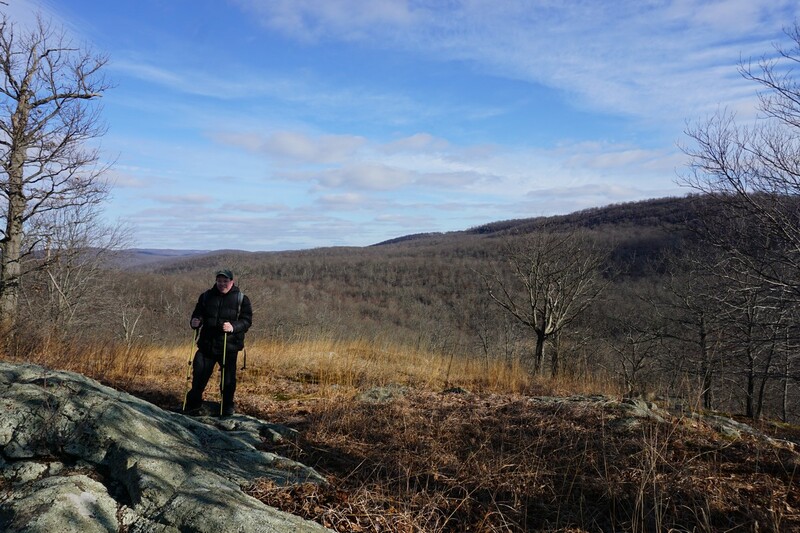 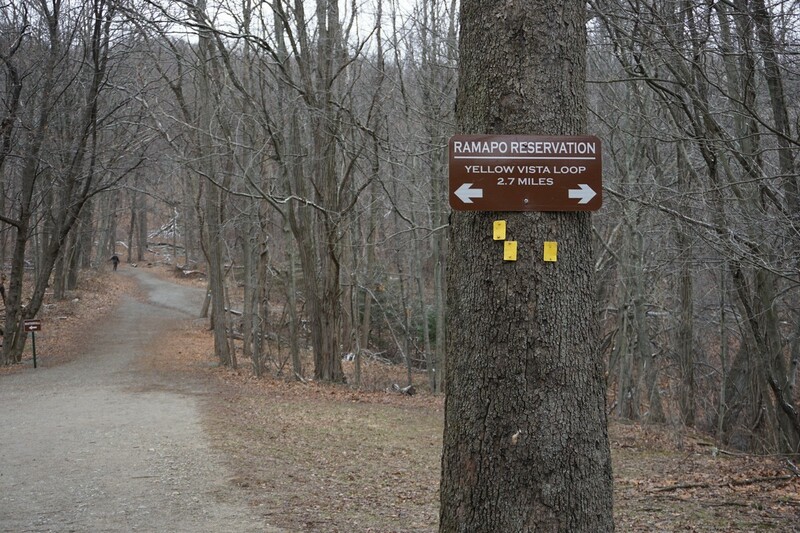 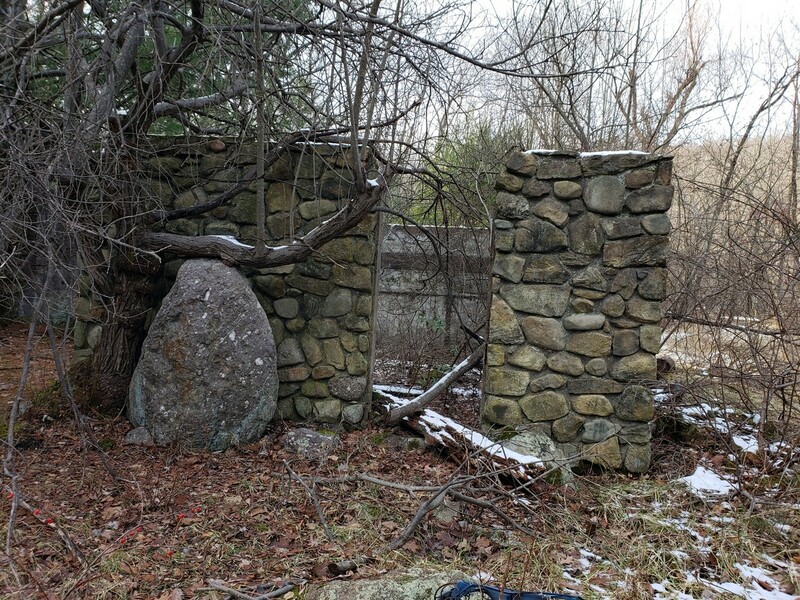 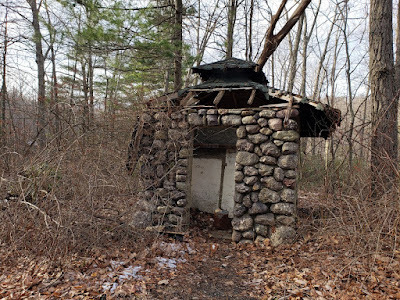 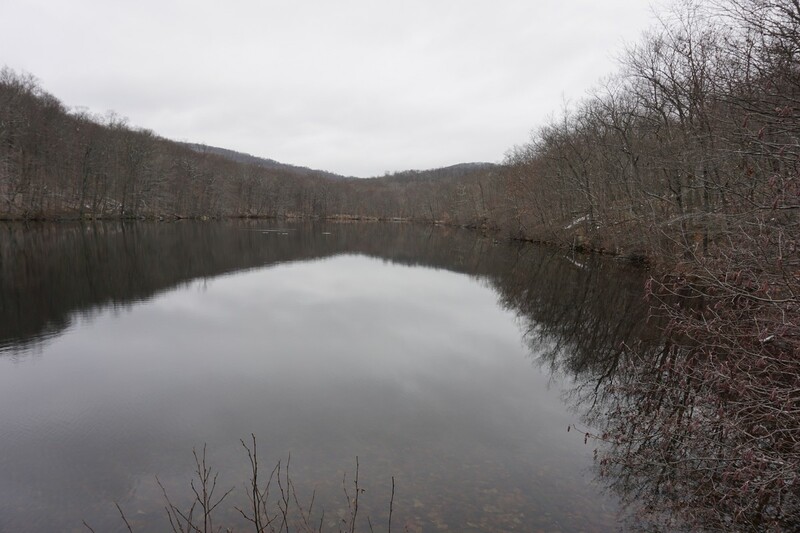 We continued towards Cactus Ledge, and then looped back down towards Hawk Rock, getting some nice views along the way, and then headed down to the end of the trail at Scarlet Oak Pond, and taking the path back over the bridge over the Ramapo River and back to our car. 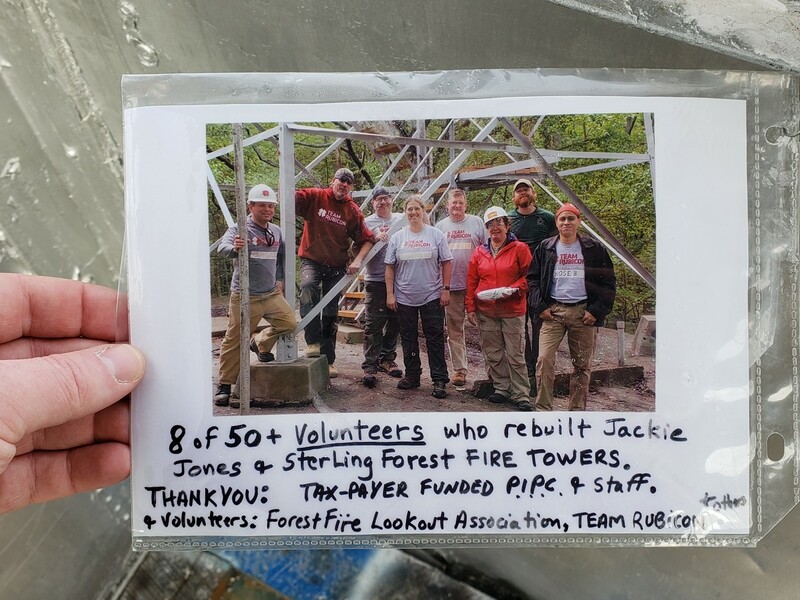 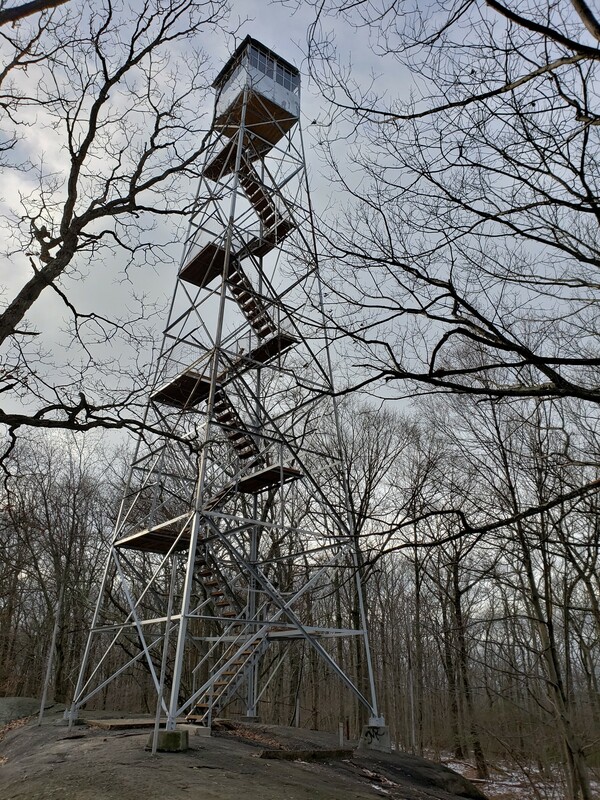 I had heard that the Jackie Jones Fire Tower had been reopened, with access even to the top enclosed part. 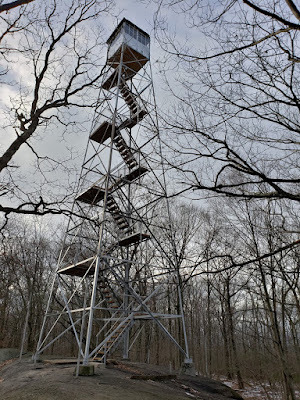 The last time I was here, the tower was closed with the bottom stairs removed so it could not be climbed. This hike was my inspection of the tower and seeing it reopened, including the top part. This great news for all hikers and makes this area once again a great hike. 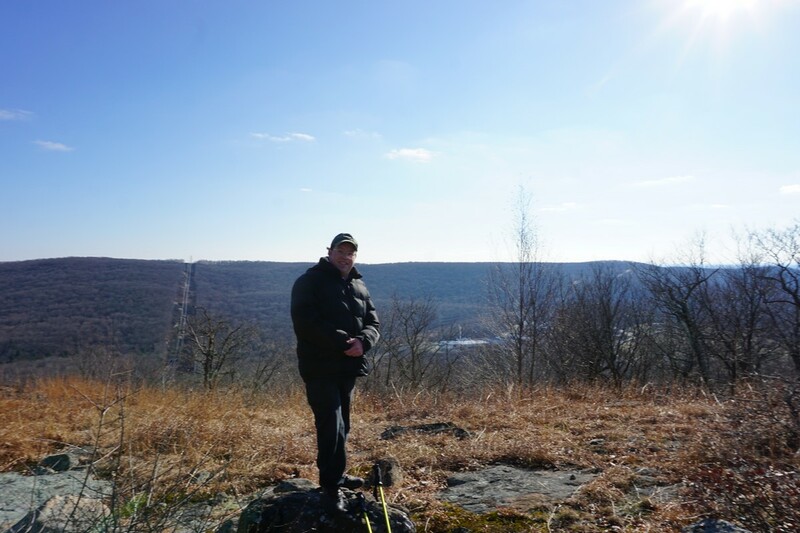 I was off from work, and had a bit of time for a quick hike. 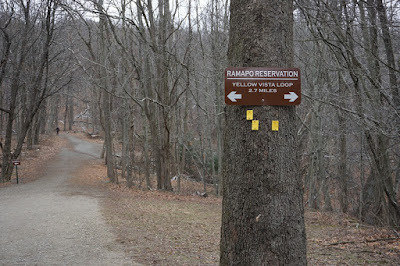 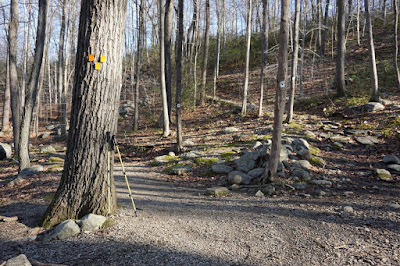 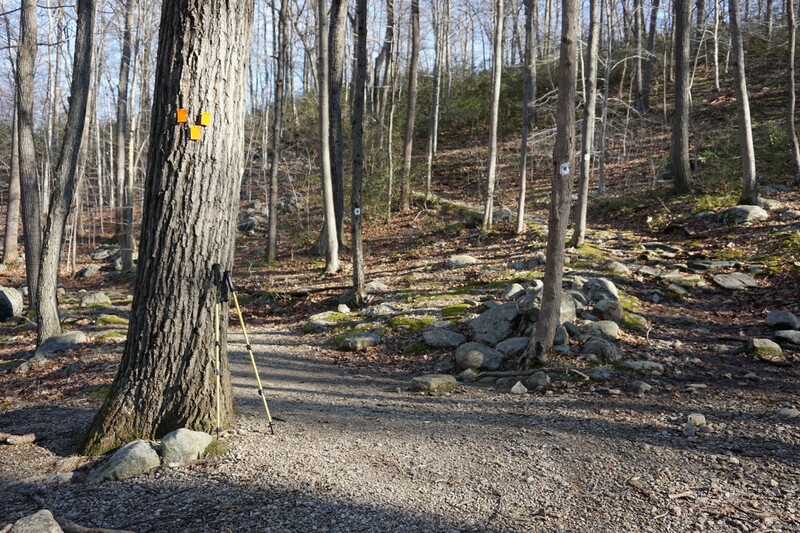 I parked at the trailhead parking at the Suffern -Bear Mountain Trail on County Road 106 at the entrance to Harriman State Park. 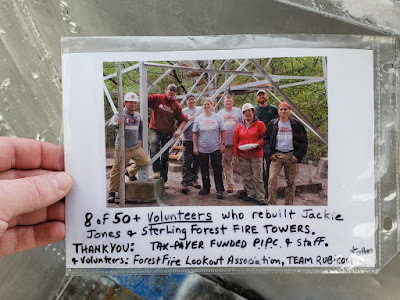 I took the trail past the ORAK Ruin, continuing up past the Jackie Jones Communications Tower, and then to the Fire Tower. 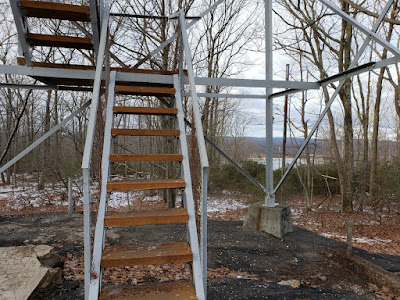 I climbed up the steps to the top of the tower, and entered the enclosed area which is now open. It offers panoramic views from all four sides. 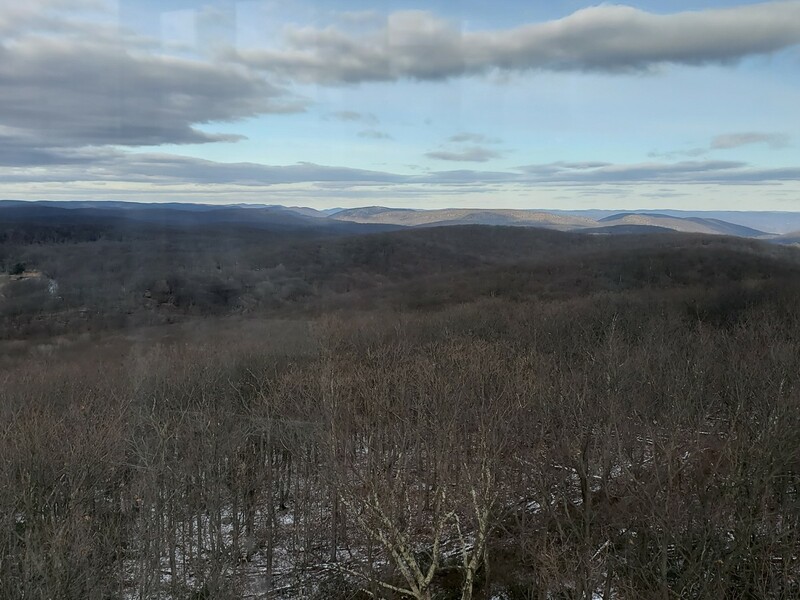 I took pictures from the top, but the glass was a bit dirty and reflective for my pictures on the top. 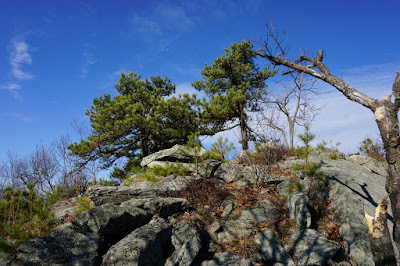 (Pictures were also from my cell phone). I then climbed down and took the Jackie Jones Communication Tower Road back down to the parking. 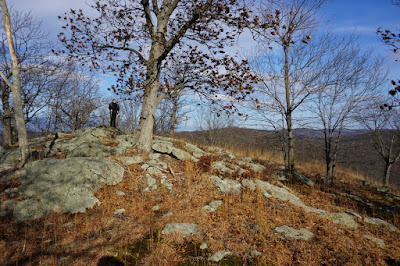 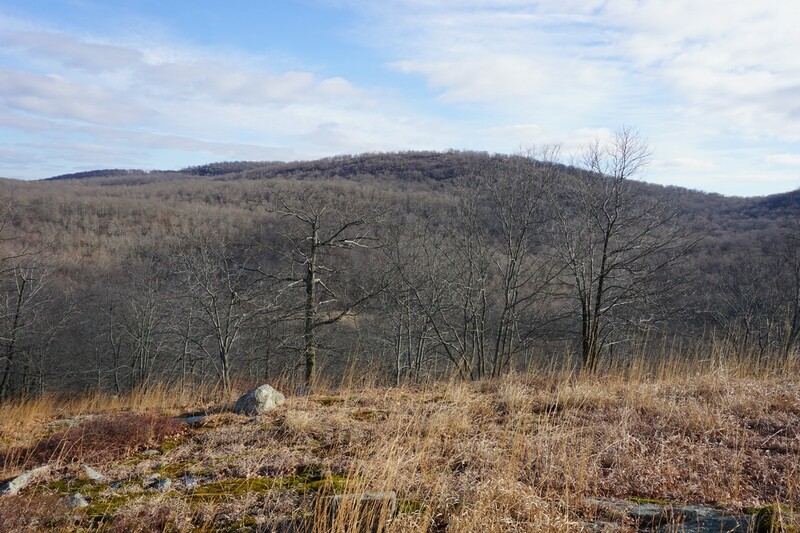 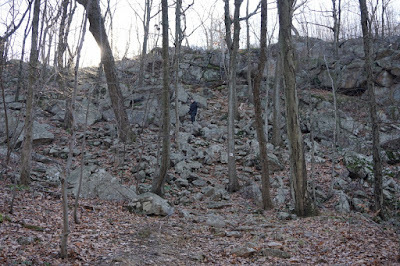 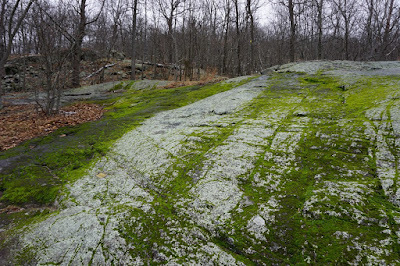 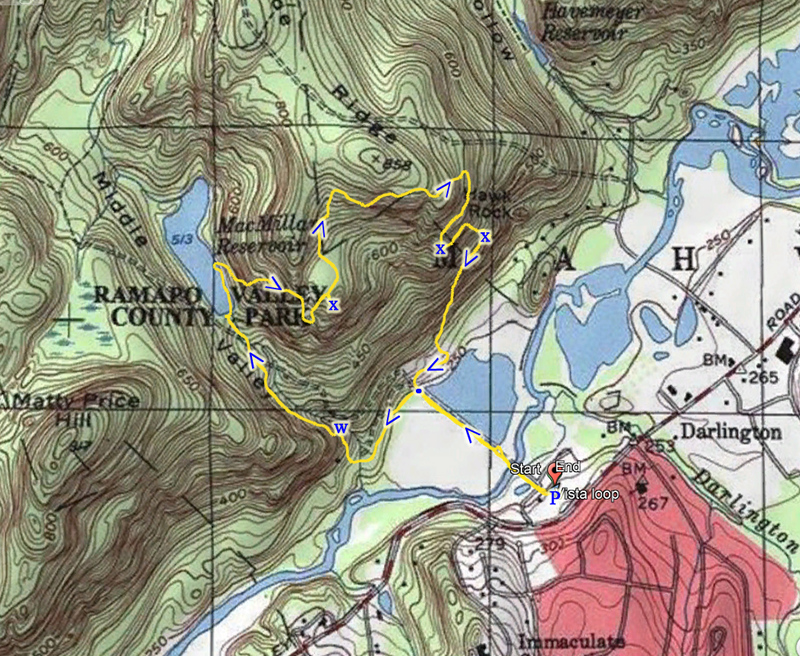 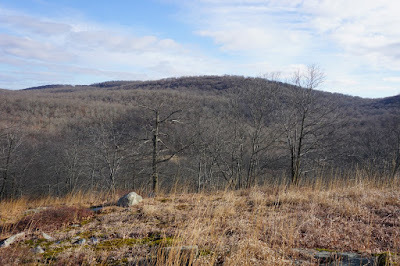 On my last two hikes to Ramapo Torne, I had noticed South Hill to the northwest with large rocky exposures. I had determined to check out the area for hike, and this was our opportunity. 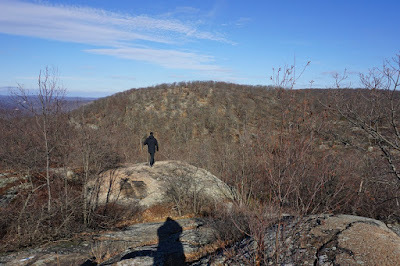 The weather was seasonally cold, but it there was a bright sun and blue sky. 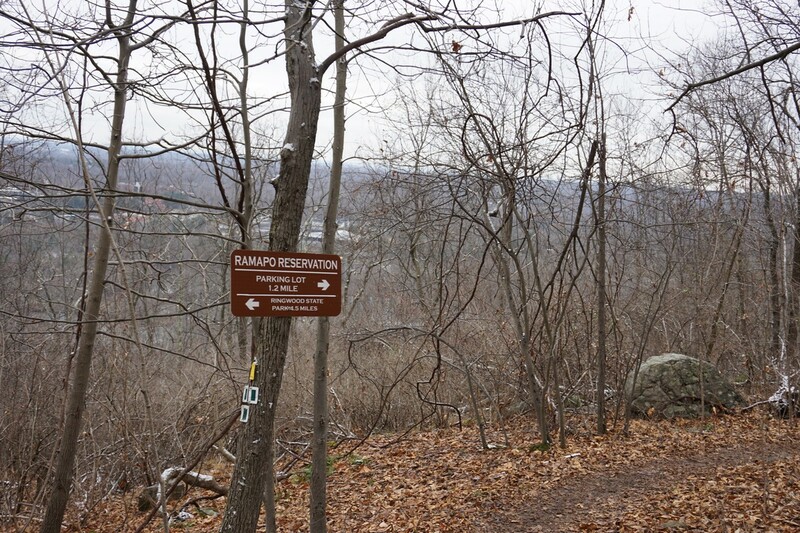 We parked at Reeves Meadow at Harriman on Seven Lakes Drive, and took the 7 Hills Trail from its beginning. 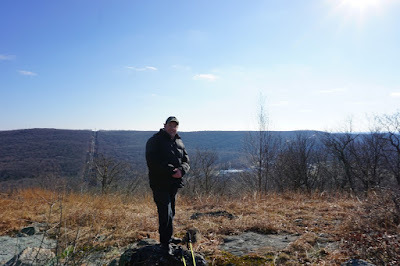 I then bushwacked up the ascent to the first part of South Hill, and then climbed down through a notch and back up to the main part of South Hill, where we had some great views of the surrounding area. 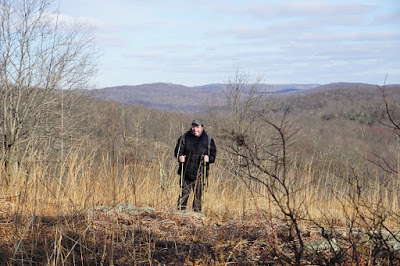 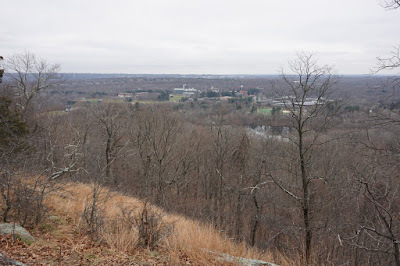 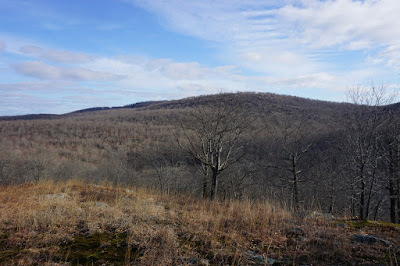 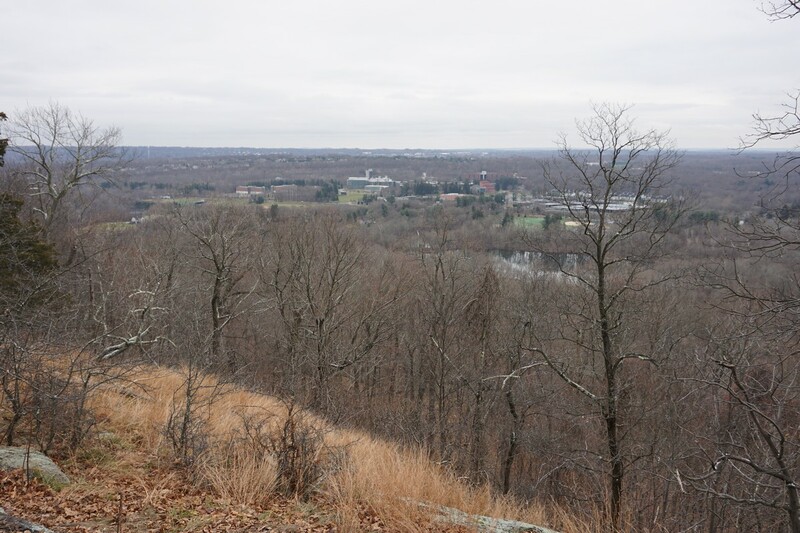 We then climbed down the hill on the southern edge of South Hill, to an unmarked trail that connects to the HTS Trail. We took the HTS Trail north for a short distance to the 7 Hills Trail, which we then took up and climbed the mountain to the Torne View. At the top, we continued along the 7 Hills Trail northbound looking at the views to the right and the left. 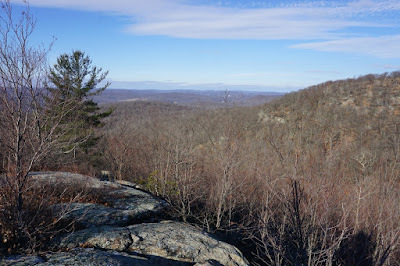 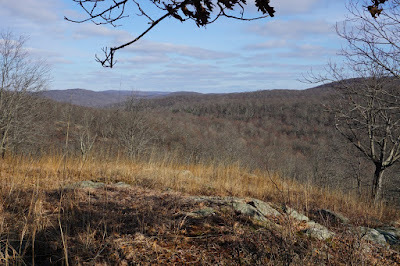 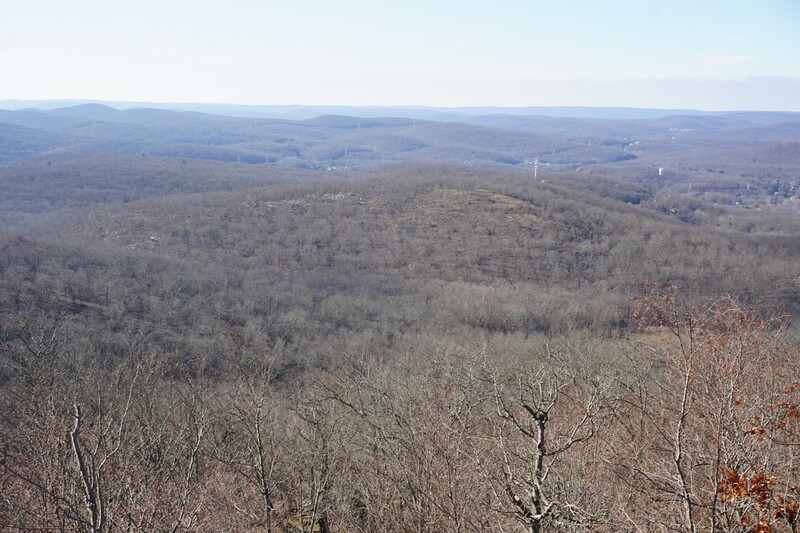 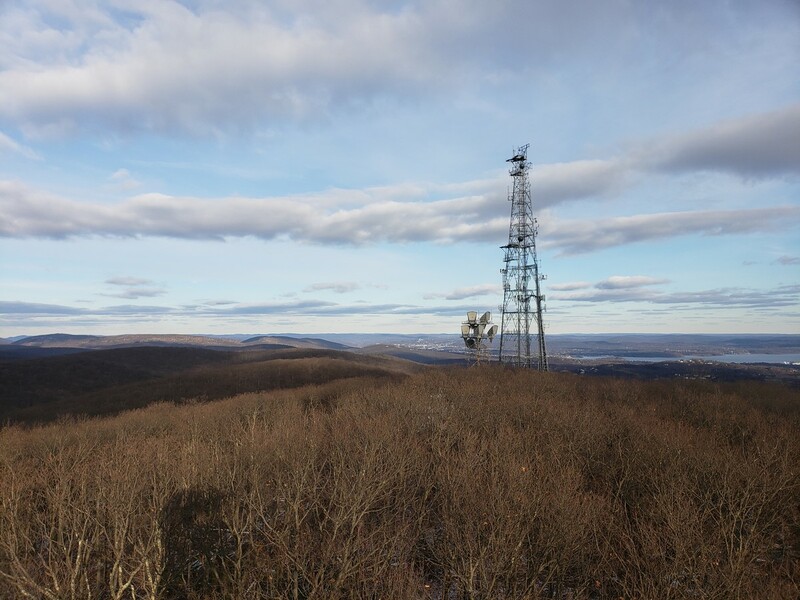 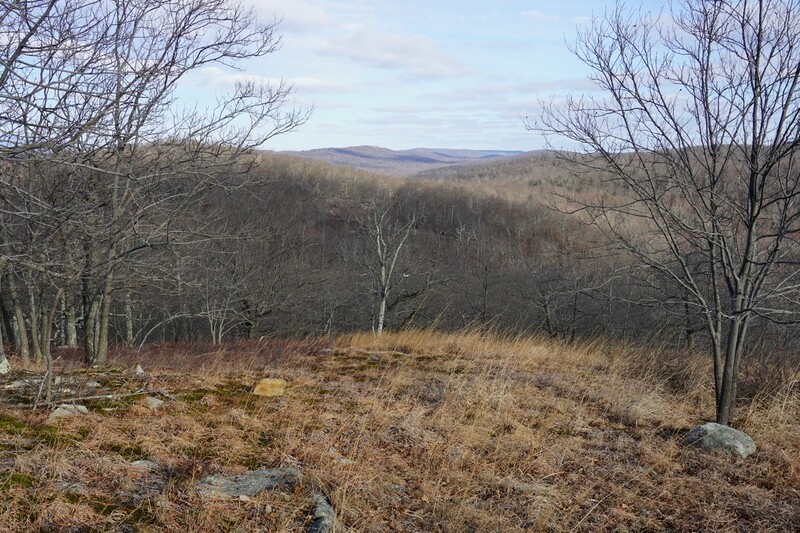 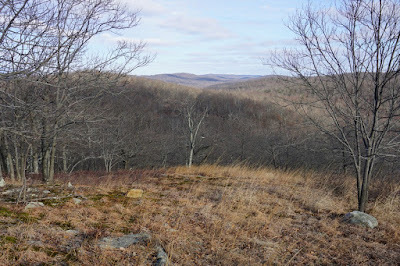 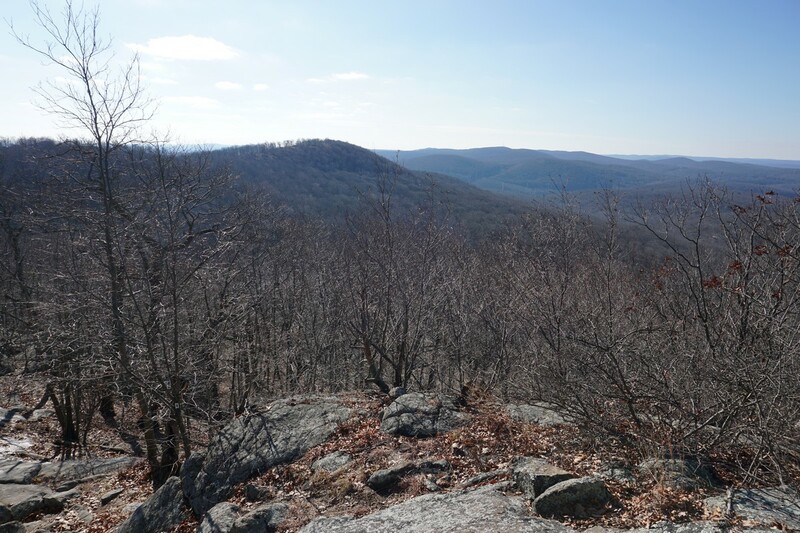 We continued along the trail, went down and up to the Torne View, which offers sweeping views of the entire area. 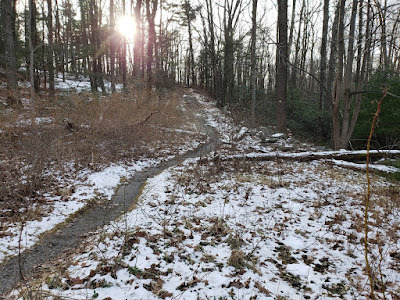 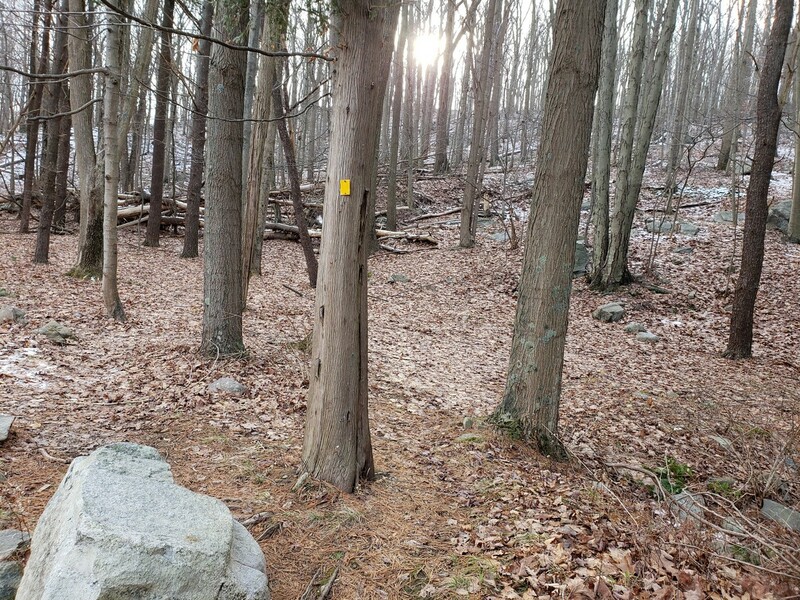 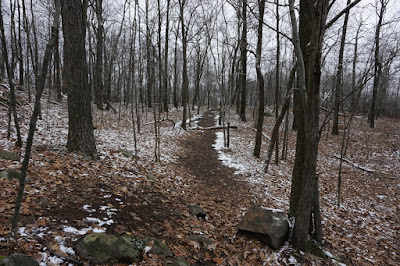 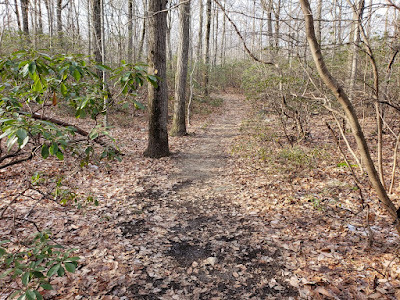 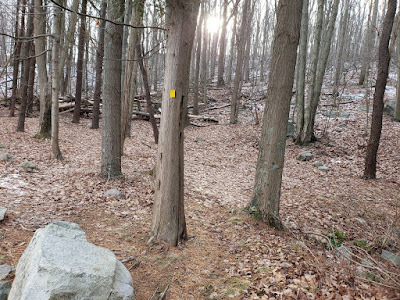 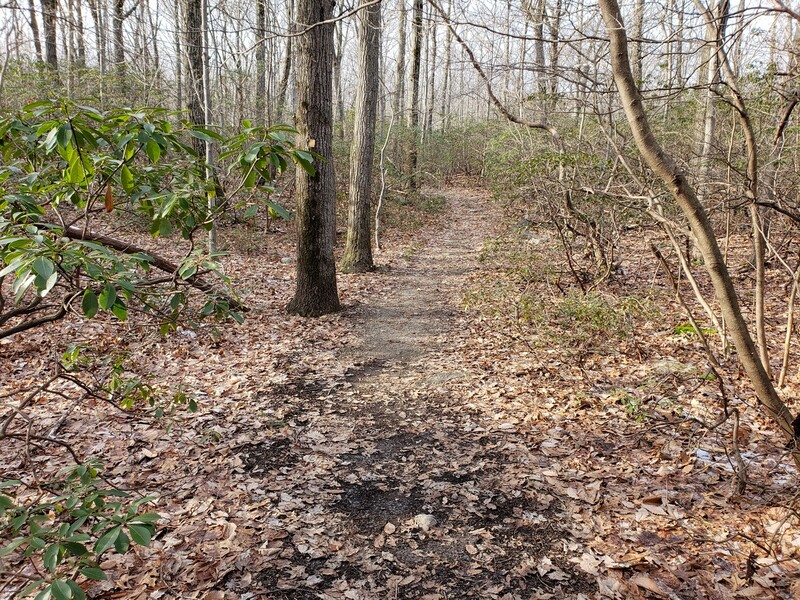 We then took the 7 Hills Trail to the Reeves Brook Trail, going back down towards the parking area and back to our car.